I can’t say Aiden Grimshaw’s releases after his Top 10 placing in the UK’s X-Factor show a few years back caught my attention. However both his album and debut single “Is This Love” charted, in the Top 20 and Top 40 respectively. While it took a while to grow on me after surfacing this past late summer as a free download, “The Way We Are” has a gorgeous and mysterious danceable pop rhythm that stands out from a lot of music out there. 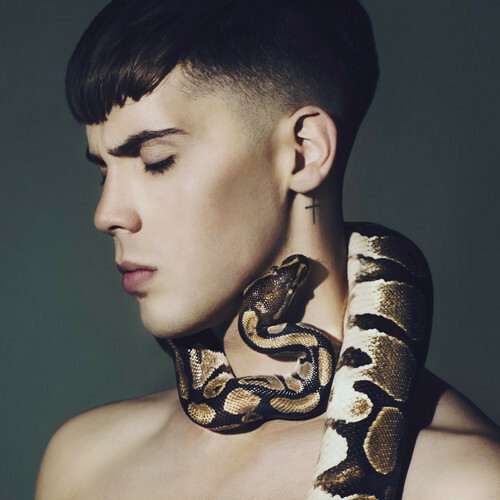 And of course just as I’m digging this song, along comes a new song called “The Cleaner”, on which we’ve found Aiden is just Aiden (albeit with an image of him with a snake around his neck). “The Cleaner” has a mix of angst-filled 80s new wave and electronically processed vocal, followed next by a big stadium-sounding vocal version of Aiden that reminds me of people like Noel Gallagher. But it has this slinky and again danceable melody that gets under your skin. So I’m not sure if this ‘transformation’s is meant to point to “The Way We Are” as an end to Aiden Grimshaw – I hope to hell not, I want it on his upcoming EP. But “The Cleaner” is equally interesting if more stylistically removed from “The Way We Are”. So here’s to Aiden and transformation and let’s hope it all doesn’t get too mucky in style versus content.